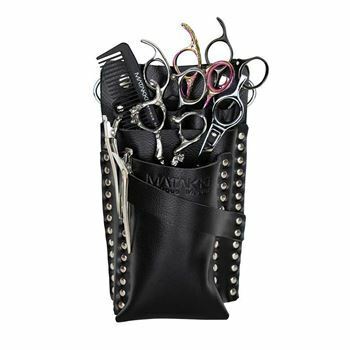 Your Matakki scissors should be serviced every year during normal use but if you create more than average number of cuts then we suggest a service twice per year. Your scissor should always be serviced by a qualified Matakki technician otherwise you could invalidate your lifetime warranty. Our Elite service includes a detailed pre-service inspection report to identify any edge faults. We then polish the ride line and hone line using a selection of Shapton Japanese glass stones with a grits ranging from 3000 to 8000, this is an essential part of the service process. You can have a perfect convex edge but if the ride line is not polished then your scissor simply will not glide. 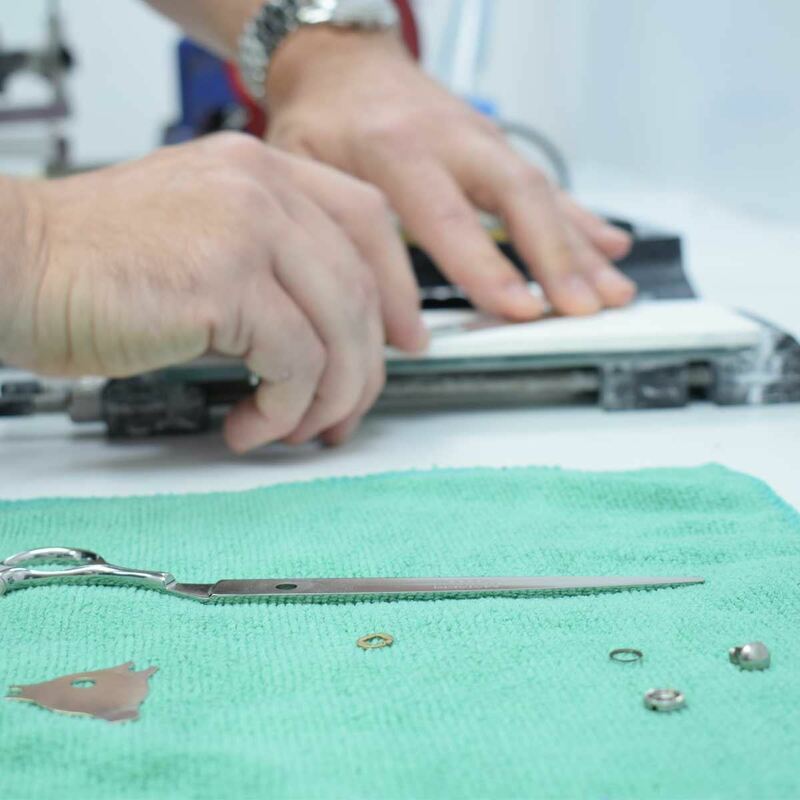 The next process is the sharpening stage on a diamond wheel to re-establish the cutting edge, this process takes away a very small amount of steel to create a burr which is removed on the next stage. The blades are worked on a 3 differant grades of polishing wheel which convexes your scissors to the correct angle and ensure your scissors have a deep lustre shine. We then check the scissor balance and sett, rubber stopper, tension screw system and finger rest and make any required corrections and replace any parts if needed. 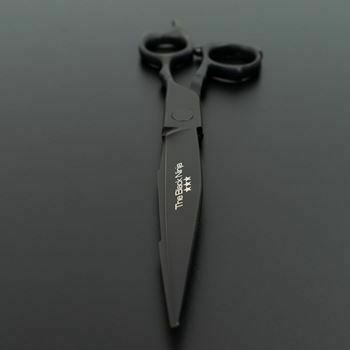 All scissors are then cut tested in both wet and dry tissue, cleaned, oiled, polished and returned back to you in a flawless condition.